Yay! Summer is approaching, which means the Twilight Drive-in is slowly powering back up for the Summer months! I grew up going to drive-ins, which was largely luck, as even in the late 70s, early 80s, Drive-ins in Canada – already hampered by seasonal weather considerations – were slowly dying out. When a refinery fire in Calgary crippled then closed the Corral 4, that was pretty much it. It’s only been in the last few years that I got to hit the Brackley Beach Drive-in on PEI, and then regularly attend the Twilight Drive-in in Langley – a mainstay in the lower mainland, it closed for a few years, and then re-opened under new owners, and so far, so good. The trick, at least for me, is getting a movie line-up that is perfect for a drive-in. Art films and Oscars winners need not apply. Instead, the B-grade and sensational films, films you regard as “renters” are perfect. This weekend’s line-up of Brooklyn’s Finest and The Crazies has “drive-in” written all over it. And if that’s not enough, they have a regular Sunday swap-meet! So, if you’ve been looking for a good reason to get that Zipcar account, this could be something to seriously consider – screw trips to IKEA. The age of the drive-in will not last forever – enjoy it while you still can. It’s the second annual Yaletown outdoor movie night. Where you get to watch a movie and hang out with friends. It’s being done in conjunction with a community picnic. So the picnic starts from Noon – 4pm and then the movie starts at dusk. They play the movie on a giant 40’x20′ screen and it’s usually a “secret” classic 80’s movie that they’ll play. Given the clue they provide “who ya gonna call?”, we can safely guess it’ll be Ghostbusters playing. They suggest bringing along a blanket and flash light. If it rains it’ll be postponed to the 26th. Posted in Around Town, Movies | Comments Off on Outdoor Movie Night! Fifth Ave Cinemas on Burrard. Reviving Vancouver Film Post Ledger? As mentioned earlier in the post by Jeffery, the death of Heath Ledger alongside the writer’s strike caused many job losses in our local film industry. Well, according to the CBC that is. Remember the days when 21 Jump Street was filmed here? Well Johnny Depp will apparently be re-familiarizing himself with our city as he, Jude Law and Colin Farrell will be coming to town to replace Heath Ledger’s character in the upcoming Terry Gilliam flick. Let’s hope this situation along with the vote that ended the writer’s strike will mean a quick recovery and resurgence of jobs for our local and vital film industry. 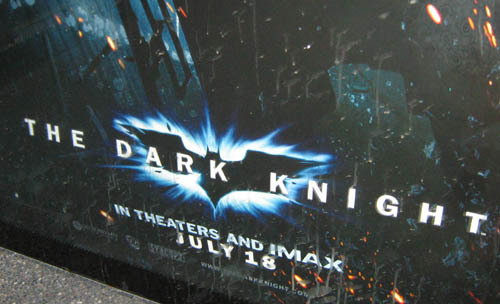 Posted in Movies | Comments Off on Reviving Vancouver Film Post Ledger? Originally uploaded by Jeffery Simpson. Movies filmed in Vancouver tend to range from the sort of indie fare that nobdy ever sees, to the big budget science fiction comic book movies that nobody ever cares about. Sure I love the X-Men films, but that’s because I’m a big comics nerd, but let’s face it they’re not exactly great art. It’s very rare that one of the year’s best movies comes out of Vancouver, in fact the last one that comes to mind is The Sweet Hereafter which was filmed aroud Merritt. The difference is that The Sweet Hereafter was a Canadian movie that caught Hollywood’s attention, as opposed to a Hollywood movie just using Vancouver to film. 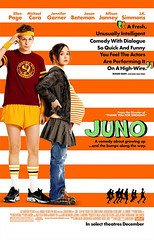 Juno though is that American movie filmed in Vancouver that really manages to be an incredible picture. Though billed as a teen comedy, which puts it in a catagory with the American Pie movies, but it’s really a film about teenagers. Ellen Page, who before this was probably most recognized as Kitty Pryde in the last X-Man movie, gives a performance that is worthy of an Oscar and has already earned a Golden Globe nomination. I don’t want to get into too much detail about the film, because I think that the more you can be surprised by it the more you will appreciate it. It’s one of last year’s best movies, and since it’s still in Vancouver theatres I feel a responsibility to make you understand that you need to see this movie. Seriously go see it. It’s a great film, one of the best that Vancouver has ever produced. Students in Langara College’s Film Arts program have been creating a series of web episodes based on a fictional government agency The Department of Solutions. According to their submitted suggest a story post the shorts follow “the adventures of Quincy, an idealistic young public servant who dreams of changing the world through paperwork.” Having watched the first three today I have to say they’re well worth clicking on this link [tds] to visit their site which has all the episodes. New episodes get added on Mondays and Thursdays, so click early and click often. Retired actress, erstwhile ballerina, and present-day author Meg Tilly has a website and a blog.